The wide welcoming seat of the LumiSource Fabrico Chair beckons for one to sit and relax. A scooped contoured seat and wood embellished curved back adds to its modern, yet comfortable design. 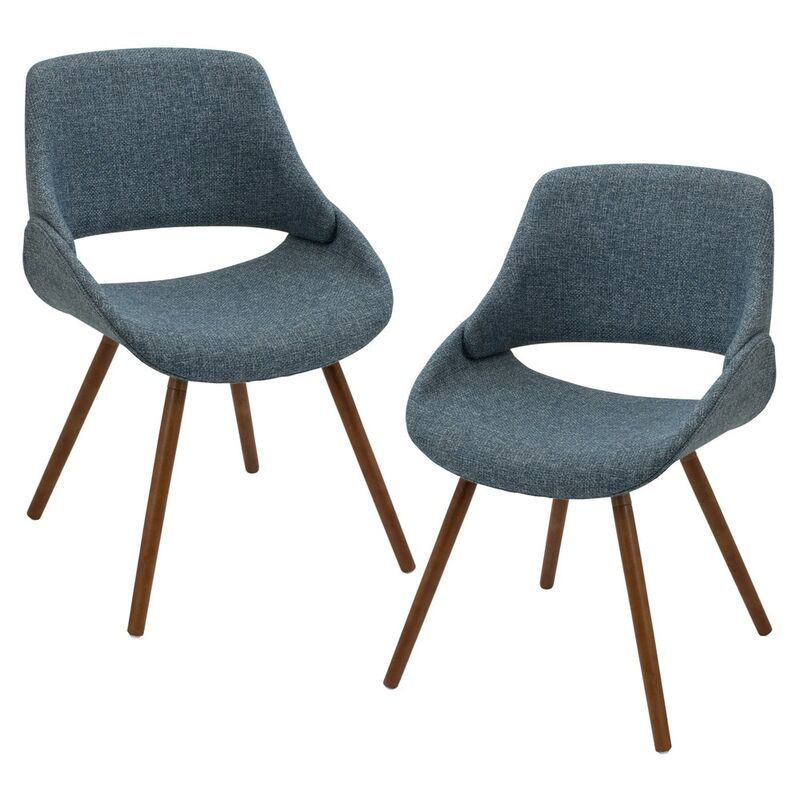 Upholstered with woven fabric, available in two colors, blue and grey.